Drink lots of water or sports drinks throughout the day. This may be a simple “fix” but it’s highly effective in cooling your body during the heat of summer. Wear clothing that is both light in color and in fabric (natural fabrics like cotton and linen). Dark colors attract and retain the sun’s heat more than light colors, and heavy or synthetic fabrics (like polyester or lycra) also hold heat more than lighter ones. If the heat really bothers you this summer, stay inside if you have air conditioning in your home or workplace. If you don’t have AC, visit air-conditioned restaurants, stores, movie theaters, or museums during the peak heat of the day if possible. Spending a day or even a few hours touring some of our area’s terrific air-conditioned museums is a great way to stay cool and at the same time expand your understanding of our region’s history, people, and contributions to America. Great area museums to visit: The Hershey Store Museum in Hershey, Columbia’s National Watch and Clock Museum, The Civil War Museum in Harrisburg, the Railroad Museum of Pennsylvania in Strasburg, the York History Center, or Gettysburg’s many museums and historic homes. Whether you live near a pool, lake, river, or the ocean, taking a plunge into refreshing water is a sure way to cool off fast! 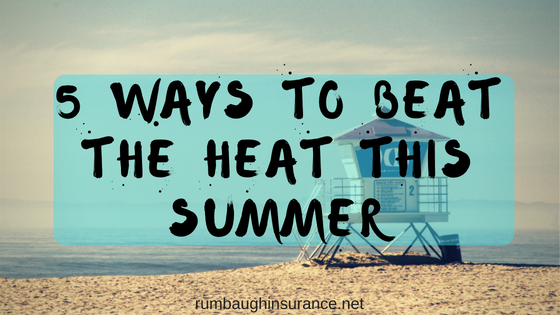 Consider buying or joining a pool, visiting a waterpark, cooling off in the shade with a misting fan, or sitting with your feet in a bucket of cold water. The two areas of your body that get hot and cold the quickest and that seem to dictate body temperature are your head and feet. In winter, experts suggest keeping your head covered with a hat or scarf and your feet warm in socks and insulated boots to retain body heat. Likewise, in summer, if you can cool your head/neck and feet, the rest of your body will follow. If you really need a break from summer’s excessive heat, take a trip to one of the country’s chilliest summer destinations like: Alaska’s Denali National Park, Olympic National Park in Washington State, San Francisco, or Colorado’s Rocky Mountains. Summer temperatures in these vacation spots range from daytime highs in the 60’s to nighttime lows in the 50’s. If you prefer the East Coast, you could beat the heat in Boston, Massachusetts, Buffalo, New York, or nearby Pittsburgh, Pennsylvania—all boasting summer highs only in the 70’s with lows in the upper 50s.